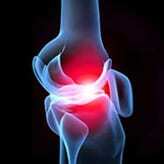 Alternative Diagnosis & Treatment Options - Piedmont Physical Medicine & Rehabilitation, P.A. There are many different treatment options for conditions associated with pain, weakness, or numbness. In many cases, even in the presence of herniated disk or degenerative arthritis, a physician can assess whether the disk or arthritis is indeed the cause of the pain. If it is, many non-surgical treatments can be utilized. If other sources, such as muscle, nerve, or ligament are the source, then treatment options directed toward those conditions can offer substantial pain relief, even in the presence of herniated disk or degenerative arthritis. Physical therapy can be quite beneficial for certain muscle and ligamentous injuries, but it is not always enough. While restorative therapies often play an important role, there is no benefit in utilizing them excessively. If therapy is going to help, then improvement should be substantial within 2 – 4 weeks. Pain that is not responsive may require the use of injections that are directed toward relieving pain due to nerve injury or irritation. Examples include anesthetic facet, epidural, and sympathetic blocks. 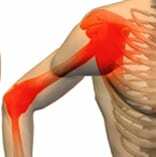 Trigger point injections are directed toward reducing muscle spasm. Proliferative injections, which involve placing a cocktail of agents into surrounding ligaments, stimulate wound healing. Some people also believe that anesthetic blocks stop a “pain – spasm” cycle, thus allowing for restoration of normal function. Their real purpose, however, is to help stabilize irritated nerve fibers in an attempt to restore them to normal. Usually these blocks are repeated one to three times. Sympathetic blocks, a special kind of nerve block, are often done in series of up to five. Soft tissue injection into muscle anesthetizes the injured area to allow non-painful range of motion and stretching. When an anesthetic is mixed with special stimulants, the mixture initiates the body’s natural wound healing cascade, much like a scab heals skin. These injections are frequently done in a series of three and can thicken torn or stretched ligament by as much as 40 per cent. When tendonosis exists (tendon swelling or degeneration without inflammation) treating the ligament or muscle may not work. Utilizing ultrasound guidance a percutaneous tenotomy can be performed. In this office based procedure the tendon is feathered under local anesthesia. The body’s natural wound healing response effectively reconnects the tendon to bone with dramatic pain relief in 80 percent of the cases. Correcting anatomical or functional irregularities can also have a major impact on healing. Examples include leg length discrepancy, poor balance on one side, or a forward jaw thrust posture. Because the body can be thrown off balance in these examples, abnormal muscle tightening and wear and tear on joints can occur. This leads to more maladaptive behavior, further exacerbating the pain from degenerative arthritis and related conditions. There is a large selection of medications that can be used as well. When evaluating which ones may be right for you, consider whether they simply relieve symptoms or actually help promote healing of the painful part. If cure is not in the immediate future, then a medicine that helps prevent progression would be favorable over one that promotes addiction or dependence. Medications can sometimes have a very personal meaning to those taking them; examining the relationship between pain and its treatment can be helpful in making responsible choices if that seems to be a problem. Learning how to deal effectively with the challenges that may accompany pain can facilitate choices that, by themself, are relieving. This can be especially true if pain holds too much power or appears to have no purpose other then suffrage. When the body does not respond, other factors that can both perpetrate and exacerbate pain need to be considered. Examples include mineral deficiencies, hormonal imbalance, rheumatic illness, chronic infection, vascular disease, and complex pain syndromes such as reflex sympathetic dystrophy and fibromyalgia. Discovering related conditions that may apply either in full or in part to your symptoms widens the number of options for intervention.